a. Write down the coordinates of the point A.
c. Write down the value of k.
We are given that the curve C cuts x-axis at point A, hence, A is x-intercept of the given curve. We are required to find coordinates of the point A. We substitute y=0 in this equation to find the coordinates of x-intercept. Hence, the curve C cuts x-axis at two points one where x=0 and other where . 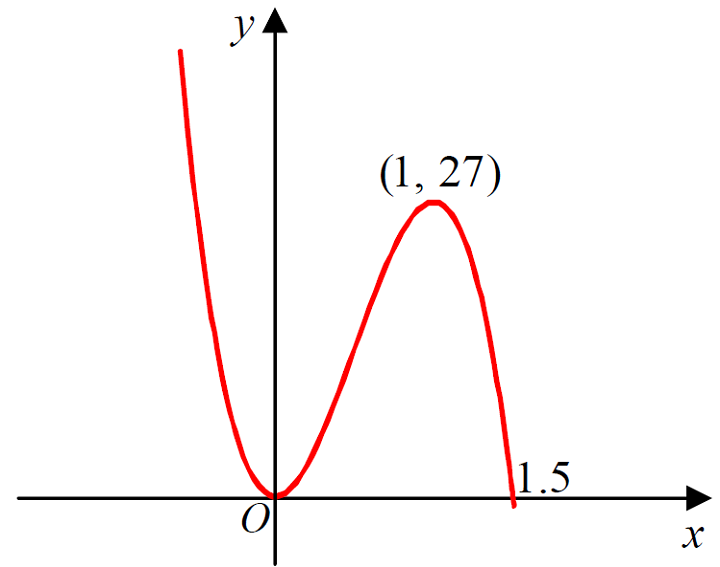 Since there is minimum point of the curve at origin, x=0, belongs to this point and belongs to point A. It is evident that we are required to transform the function into , therefore it is case of translation of along negative x-axis by 3 unit. Hence, the new function has all the y-coordinates same as that of the original given function whereas all the x-coordinates are one-third of the original given function. We are given that the curve with equation y = f (x) + k, where k is a constant, has a maximum point at (3, 10) and we are required to find the value of k.
We are required to sketch y=f(x)+k. Translation through vector represents the move, units in the x-direction and units in the positive y-direction. Translation vector transforms the function into or which means shift upwards along y-axis. 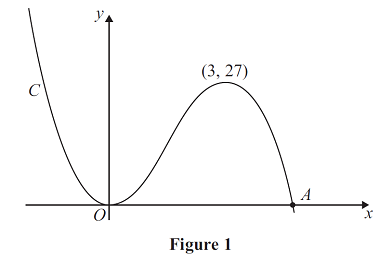 It is evident that y=f(x)+k is a case of translation by k units along positive y-axis. 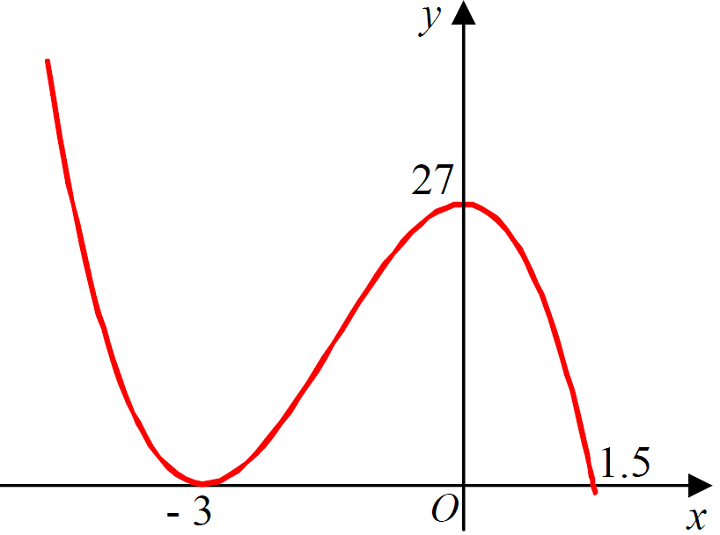 To sketch y=f(x)+k, we simply shift this y=f(x) graph k units along positive y-axis as. However, we are given that maximum point of the curve shifts from (3,27) to (3,10) which represents translation by 17 units along negative y-axis.